This officially warrants its own thread. Know why? Because they brought back Garula. Consider the franchise saved. I gather that Tetsuya Nomura is off the project? Please, please, please have a cohesive story. So... It's a road trip to get the Prince to a date with Samus? Please please please pay an editor. 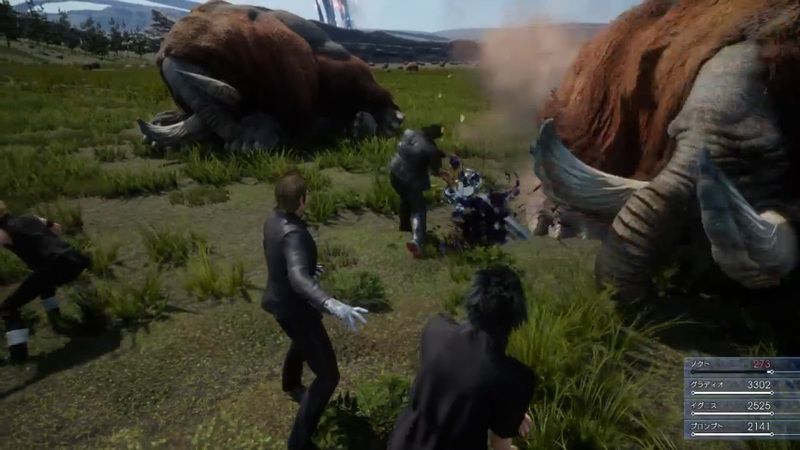 Honestly, the story present in the trailer already makes more sense than any or all of XIII. I'm willing to give them the benefit of the doubt for this because of that and since the combat looks like something I'd enjoy a lot. It really looks like a shame that they put this on the backburner for so long in favor of pretending everyone loves Lightning. So, drive around the countryside and, like, do whatever? Fighting? Also, the camera can't even keep track of the enemies even in the trailer. What the hell is the final game gonna be like? The more they show of this game, the less and less I want it. I feel like I should be mad, but actually I'm just jealous that I didn't come up with that idea first. See, now this I think is "adorable." I doubt the more = more philosophy is something so easily aborted, but we could very well be on the cusp of a game minus an overabundance of proprietary story-based terminology and resulting incomprehensibility. Any additional news out of TGS? The more I think about it, I can see this game being a kind of game where the car isn't driveable, and is just kind of the intermediate between zones/missions. The setting and the character design really turn me off. And the more realistic the game gets, the more difficult it is for me see a party member using guns and not do more damage/have more range than the sword users. But then again, this has been a FF staple since 7, right? Also, all the playable characters are white males? It shouldn't bother me that much, but all past FFs have at least thrown a playable female character by now. Anyway, now that Nomura has been kicked out this game might be released in our lifetimes! Let's hope the gameplay is good. Yeah, the car definitely doesn't look like a thing the player will ever get to drive freely. That's a bit of a shame. I always rationalized guns being weak in Final Fantasy as being due to the fact that monsters don't have vitals, meaning the only damage the bullet's doing is that small hole it makes, which isn't really much compared to a cut from a sword or whatever. If you want to talk "realism", a gun kind of does deal less "damage" to a real person then a sword, actually. After all, a gun will only cause a relatively small hole in a person, while a sword will generally either cause a large one or cut off whole parts of the body. Even a knife kind of does more physical damage to a person then a typical handgun. Of course, different types of guns and swords will vary on this front; a rapier would deal less physical damage then a broadsword, and would in fact be more akin to a handgun. All of these are capable of being instantly fatal, though, so it's kind of a moot point. At the end of the day, I end up accepting differences in strength as compensation for different bonuses in the name of gameplay; a gun may be "weaker", but you are safer from attack. Or it doesn't have range, so it's just a different attack skin. Whatever~. It's just a game, at the end of the day. I have ARMA for when I want to have my realistic sword vs gun representations. Why is the Assassin's Creed guy moonlighting in a Final Fantasy game? To be fair, the women do have pores, they're just rendered in a way that shows they're wearing foundation (admittedly without the powderiness). Gonna unfairly go off on you for a moment because that last bit is a pet peeve of mine as it's a frankly unfair characterization of Vs XIII's development. Vs XIII enters development in 2006ish? 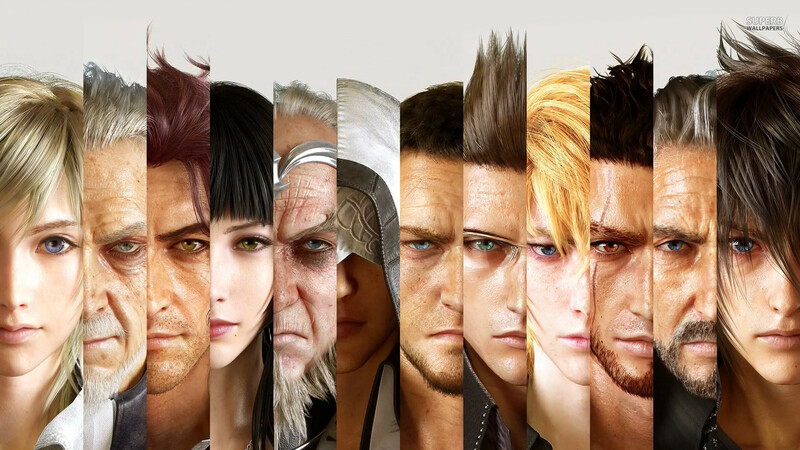 Some time around there, it's concepted and worked on but is a secondary project of lesser importance and resources than FFXIII this progresses for a year and change, XIII is going nowhere fast and the engine that's supposed to power it and Vs XIII is proving unworkably poor as the people working on it run into issues of which game the thing should be optimized for (the myriad issues crystal tools ran into are kind of sad). To make matters worse Vs XIII's team ultimately gets poached in either 2007 or 08 because FFXIII isn't finishing fast enough. While not formally cancelled Vs XIII has no active dev team from that period until mid to late 2011 when the project is restarted. At this point the project is likely forced to scrap much of what was already made in favor of moving on to the next set of consoles while working with a new engine. To have produced something that looks this good while working with not entirely finalized tools on new hardware is honestly not half bad progress for 3 years of proper development time on the version of the game they have today. Short Version: This game's long time in the cooker is a lot of people's fault and to act as though it's just because there's something wrong with Nomura's direction is kind of unfair in a way that rankles me. Besides which, this seems to have been an intended transition for a while as Tabata was named co-director last year around the time they promised Kingdom Hearts 3 was in development. Please, please, please have deities with names less silly than Bunnyverzhei. I think we have our thread title? Anyway, now that Nomura has been kicked out . You can't change jobs in 12i. You can only set a character to a job once and then they're locked into that license board for the rest of the game. Or at least that's what the FF wikia explanation for it said.